>What is Thujone (Thuyone) ? - Armand GUY the founder, distilled Absinthe for 25 year before it became banned. - Absinthe would then be reborn with the distillery’s 4th Generation, François GUY, having fought for 15 years for the reintroduction of French Absinthe. Our Absinthes are distilled using the traditional and authentic recipes, which have been passed on generation after generation from father to son since the times of Armand GUY. Only a man can transmit to an other to remain faithful to the origins. The Absinthe we currently make, is the same renowned family recipe that was used until its ban in 1914. Allowing enthusiasts to appreciate the distinctive tastes of the Green Anise and Absinthe plants. Having won prizes various times at the Parisian Agricultural Conference and at the Absinthiades (a competition between the best Absinthes sold in France), this absinthe reminds us the savours of the vintages Absinthes of the “Grande Époque”. Gold medal at the 2015 Absinthiades and 2016 global competition of Paris. Served using a Fountain and lightly sweetened amplifies the taste of the two principal ingredients, Anise and Absinthe. 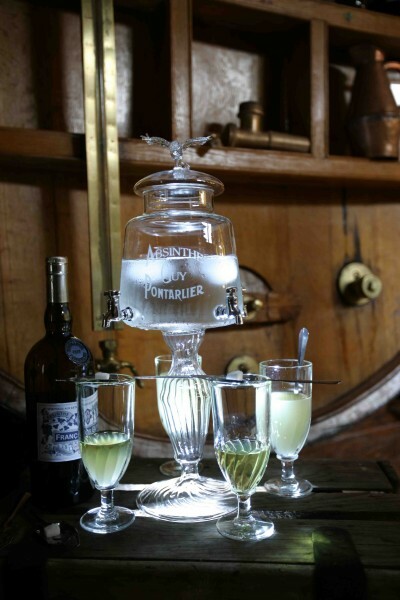 Every year the distillery produces a different absinthe in association with the “Amis du Musée” or Friends of the Museum of Pontarlier, which is entered in the annual “Absinthiades” competition. Our 11th edition, named after the inhabitants of Pontarlier “Pontissaliens”, keeps all the traits of strong tastes which with the aromas giving us a middle ground between the Green Anise and Absinthe plants. This specific edition has also won various prizes such as the gold medal at the Absinthiades as well as at the French competition in Paris. - 2015 : Absinthe "Renaissance", 56°, silver medal in 2015 Absinthiades and 2016 global competition of Paris. The distinctive taste of the Absinthe plant can also be found in our Absinthe Liqueur. Fill the Absinthe fountain with ice cubes, cover with fresh water. Server a dose of GUY Absinthe in an appropriate glass. Balance an Absinthe spoon on the top of the glass. Place a sugar cube on the spoon. Carefully open the tap to get a dripping flow of water onto the sugar (one drop per second for the most patient consumers). After the sugar has dissolved, gently stir the Absinthe with the spoon. Your Aperitif is ready to be enjoyed. 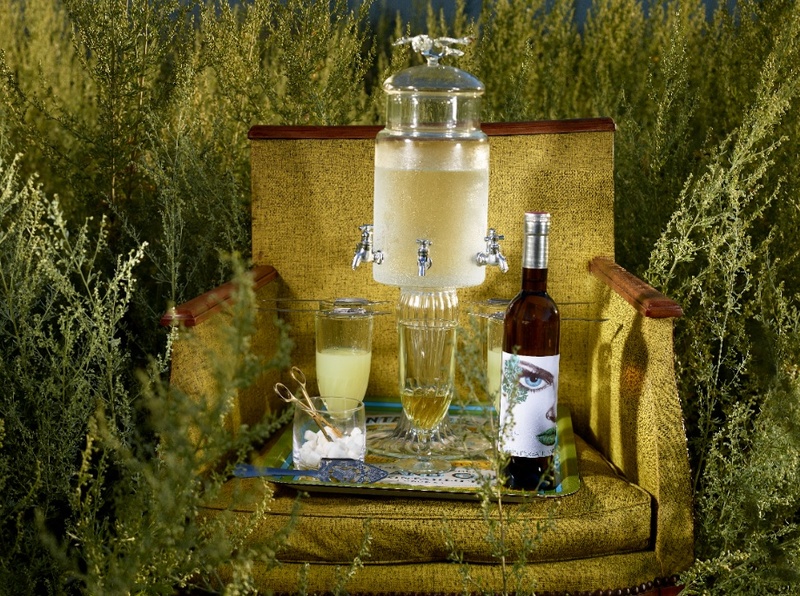 The sugar brings out the absinthe’s aromas, and the dose is based on personal taste. To find your personal taste level, you should start with a glass of absinthe without sugar then little by little increase the does of sugar until you find your preferred mix. Without an absinthe fountain or an absinthe spoon, you can dissolve the sugar using a fork and slowly pouring a few drops of fresh water over the sugar into the glass then repeat until you find your preferred mix. Enthusiast can enjoy the drink in a novel way by adding, to their unsweetened absinthe, a dash of absinthe liquor or fir liquor "Vert sapin" before adding water. For information about their uses in the kitchen or for cocktails, you can go to our section “Guy r’mandises” (The GUY Delicacies) only on the French version. To keep the myth alive and the experience pleasurable, we recommend that you enjoy this rare product, at special times with your friends, where serving with the slow drip of fresh water from the absinthe fountain enable to enjoy the Grenn Fairy trouble in the glass. Absinthe spoons and fountains can be found in our drink accessories section. 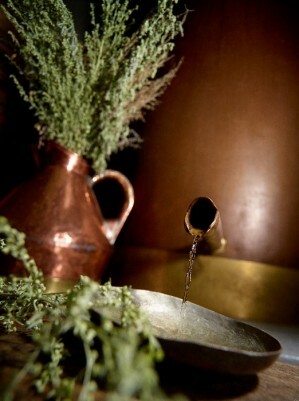 Originally the absinthe plant (wormwood) was used in ancient times for medical purpose. It’s in Couvet, Switzerland, thirty kilometers from Pontarlier, that we first hear of the remedy, from an french doctor, Pierre Ordinaire, exiled in Switzerland after the revolution. The secret medication will become an aperitif after major Dubied buys the recipe. With his son-in-law, Henri Louis Pernod, he builds the first and most well known of Pontarlier distilleries in 1805. Absinthe popularity grew with the help of the french colony soldiers to whom it was given to purify water. Absinthe became a fashionable drink with all social classes. A custom was born, the 5 o’clock absinthe. In 1890, when Armand GUY settles in Pontarlier, world capital of Absinthe, most of the town population works for the production of Absinthe, either in the fields or in the distilleries. 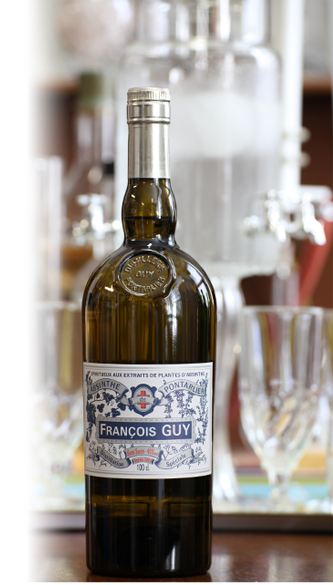 Armand Guy will know the golden years of Absinthe, exported all over the world. 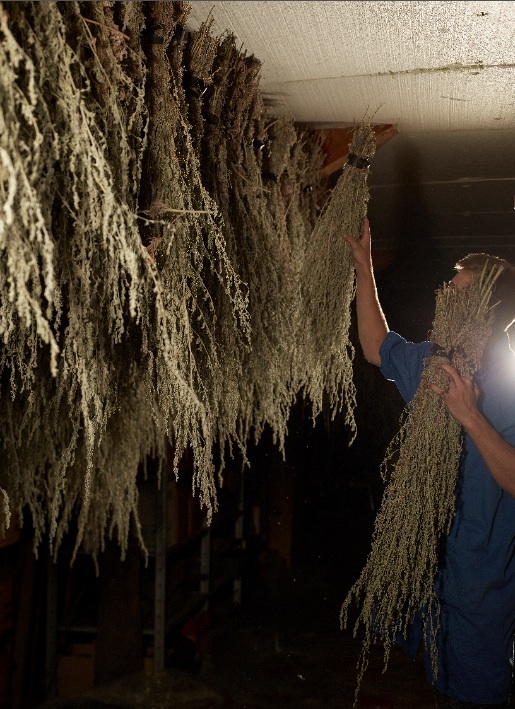 < Absinthe plants drying in the distillery’s attic. Spurred by the government's will to fight alcoholism, different anti-alcohol groups and wine-makers associations, banned Absinthe, first in Switzerland, the United States and Belgium, then France in 1915. The wine-makers adopted a moto "tous pour le vin contre l’Absinthe" all for the wine against absinthe. 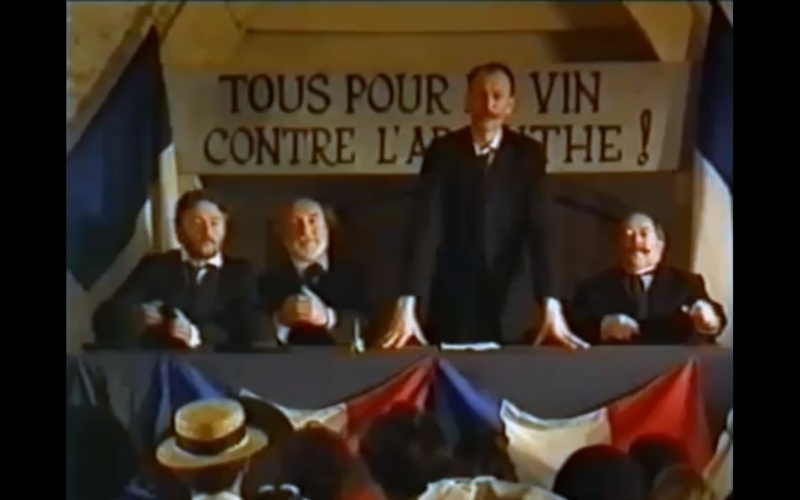 "Au temps de la Fée Verte"
Reportage de 1994 de Dominique Garing. It is proven that the extremely large quantity of alcohol consumed (4 to 6 cl doses and between 65° to 72°) was to blame for the ill effects. The human body was incapable of processing the excess of Thujone molecule (see below). Adding to that were unscrupulous distilleries making cheap absinthe with lesser ingredients to gain from the popularity of the drink. we can compare them to the brightly colored absinthe we can find on the market nowadays, between 70° and 89,9°, containing no wormwood or green anise, giving a bad name to Absinthe once again. A real Absinthe must include two essentiel ingredients, Green Anis and Grande Absinthe (Grande wormwood), be naturally distilled and colored. It must be diluted with water: the custom of burning the sugar and drinking it pure is an invention from the Czech Absinthe makers in the 90’s. In 1984, François GUY begins steps to prove that absinthe is not the poison we imagine. Following the request from Simone Weil, Minister of Health at the time, he will not get permission to produce as experimental. In France, a first decree will regulate the level of Thujone in food products in 1988, specifying the rate of Thujone, Fenchone and Pino-Camphone authorized in liqueurs. This is the result of the work of the parliamentarian Vuillaume and François GUY, which will be completed later by studies of the French Alternative Energies and Atomic Energy Commission Laboratories in Saclay, which will improve the knowledge of the molecule Thujone. La Fée Verte will eventually comeback in France in 2001, just to meet the legal requirement to use the term "Spirits with absinthe plants extracts". The term "Absinthe" is only permitted since 2011. In 2003, François GUY seeing the Absinthe market invaded by random producers decides to protect the Pontarlier Absinthe with an AOR (Appellation d’Origine Réglementée or a Controlled Designation of Origins). The project is supported by his colleagues and the INAO (the French organization who regulate the origin and quality of French agricultural products). This designation of Origins doesn't work due to a lack of support and a realignment of use of such designations at the European level. In 2009, a request for Geographical Indication (GI), a certification that a product possesses certain qualities (made according to traditional methods, or enjoys a certain reputation due to its geographical origin), was opened and was registered in the official gazette for the French Republic on the 19th July 2013. It officially recognizes the importance of the Absinthe plant used by the Pontarlier Distilleries. The association for the protection of the Pontarlier Absinthe is created bringing together 5 Absinthe growers and the GUY Distillery. Recognition at the european level of the Geographic Indication for the Pontarlier Absinthe should be validated with the authentification for the Absinthe official definition by member countries of the European Union. The Geographic Indication status for Pontarlier Absinthe is a guarantee of a consistent flavor linked to the Pontarlier absinthe terroir and the use of traditional methods in its cultivation and production. 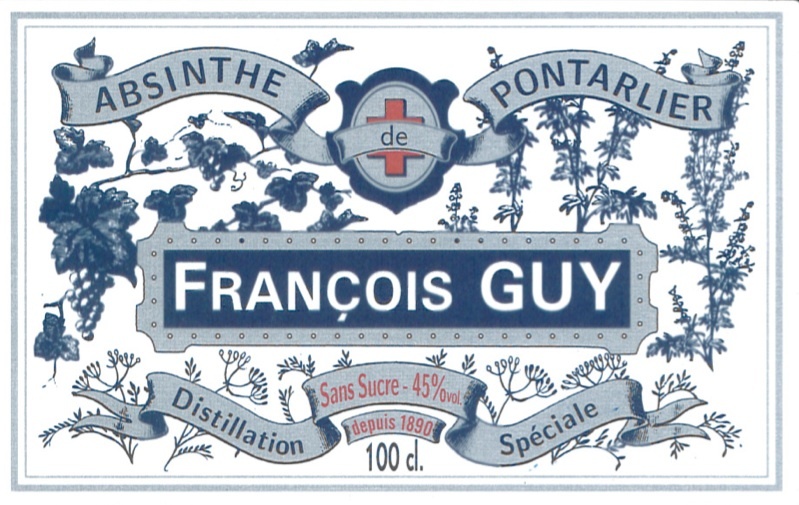 The GUY Distillery is part of the Route de l’Absinthe, a French-Swiss collaboration who’s objective is to showcase this mythical drink at its origins (Pontarlier/Val-de-Travers). You can also see all of our videos and news HERE. What is Thujone (Thuyone) ? 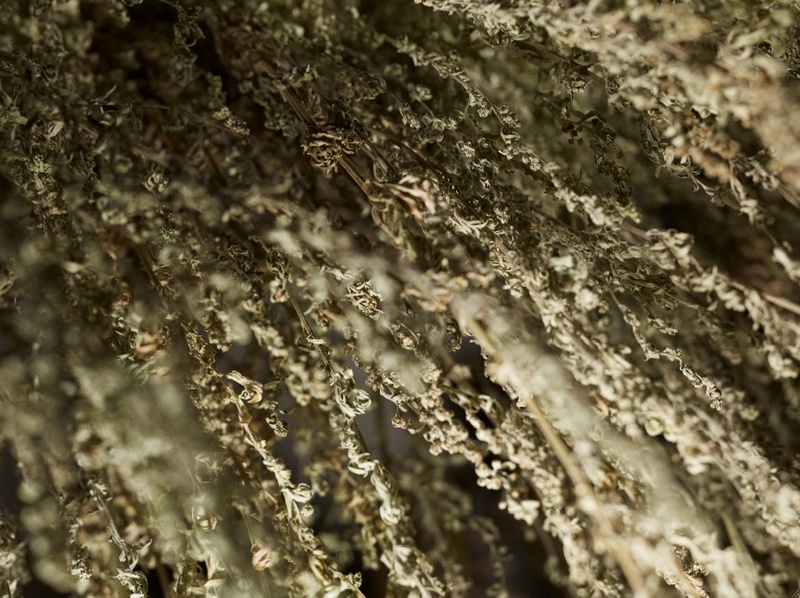 Thujone is a molecule found in the grand Absinthe plant (a.k.a grand wormwood), which is directly connected to the smell and the characteristic taste of Absinthe. A Pontarlier Absinthe without the Thujone is basically an anise based aperitif, such as the Pontarlier Anis (Absinthe without Absinthe). The molecule can also be found in numerous other plants such as génépi, thuja and sage. The presence of the molecule in large quantities in the original absinthe was wrongly blamed for inducing madness amongst large consumers of Absinthe. It contained between 250 to 300 mg per litre. It has been known for several years that the higher concentration of this molecule was not responsible for the symptoms linked to the consumption of Absinthe. It is the abuse of strong alcohols (combined for some with opium or other drugs) that is really to blame, which is similar to alcohol problems in the French Territories with the local rum. Everything has been said about Absinthe, certain profit from the lack of consumer information and the forgotten history of this alcohol. Trust your palate and your experience, during the tasting at the distillery, you will discover the distinctive aroma of the plante wich must be correlated with the beverage (Distillery Visit). It is the only guarantee of a quality Absinthe. Green Anise and the Grande Absinthe are the main plants used in the Pontarlier Absinthe. These are the main aromas which are experienced when tasting the Absinthe. Our Absinthe contains between 34 and 35 mg per litre of Thujone, to fully exhale unique taste of Absinthe plant, not just that of the other ingredients. Our Absinthe respects the European rules of Thujone content of 35 MG per litre, but not the 10 mg per litre imposed in some countries. Consequently, our Abstinthe is not allowed in the US, Japan and all the countries with this 10 mg per litre rule. The GUY Distillery also choose not to do high alcohol content. From a taste perspective, the anise and absinthe content have been reduced by legislation, a high alcohol content does not allow you to fully enjoy the product, resulting in the presence of an alcoholic taste, or masking of the original flavor with those of other plants. - Museum visit, mainly Madame Delahaye's in Auvers-sur-Oise, and the Museum of Pontarlier. - Absinthe party and Absinthiades competition in Pontarlier, where you will be able to smell the Grande Absinthe. To access the photo gallery, click on one of the picture thumbnails.